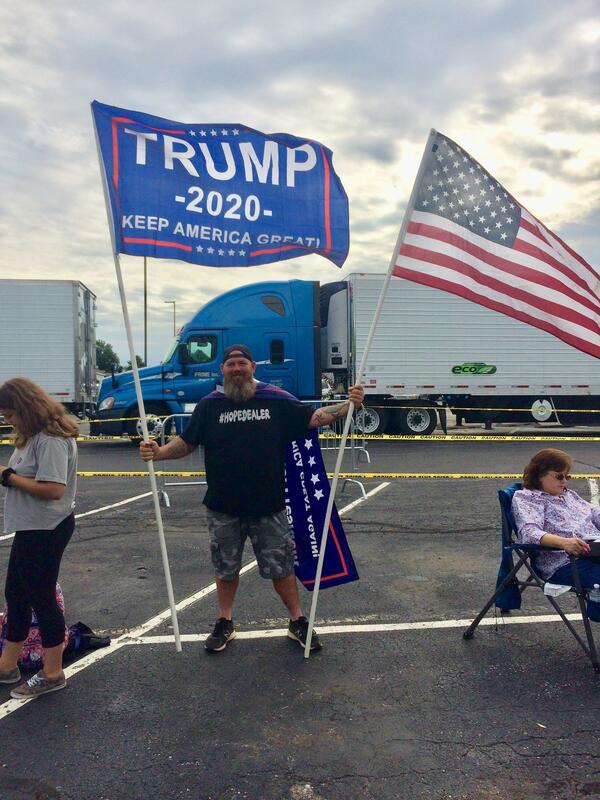 Trump supporters began lining up nearly 12 hours before the Friday night rally was scheduled to begin. “He’s the best president we’ve ever had. He really is. He’s a business man, and that’s what we need to run this country,” White said. Those waiting hours ahead of the rally are sporting Trump-themed t-shirts and hats. A few people hold Trump flags, and others are treating it like a tailgate party. “He’s done what he said he was going to do in his last campaign,“ Wagner said. Patty Knight, who attended the rally with her husband, Charles Knight, said "We are super excited. I mean, to have him come to the people, and this is what he seems to do all the time," she said. "He goes to the locations. He talks to the people. Have you ever seen a politician or president do that before?" Charles Knight feels Trump has made great gains in moving the country forward. "We're now the number one oil producer in the world thanks to the things that he has managed to deregulate from the EPA and such," he said. Vendors set up tents and booths near the arena to sell an assortment of Trump merchandise. Hawley is running against incumbent US Senator Claire McCaskill, a Democrat.